Hi everyone! New to site and needing help!! I am trying to layer a multi-color htv design. I can not get it aligned without being able to use registration marks. Any suggestions? Are you able to share your file at all? Is it a design you can use the 'stack' feature on? For multi-layers of vinyl, using some type of registration marks or alignment mark would be highly recommended. I have layered vinyl I just keep moving it and looking at it until I get it right. 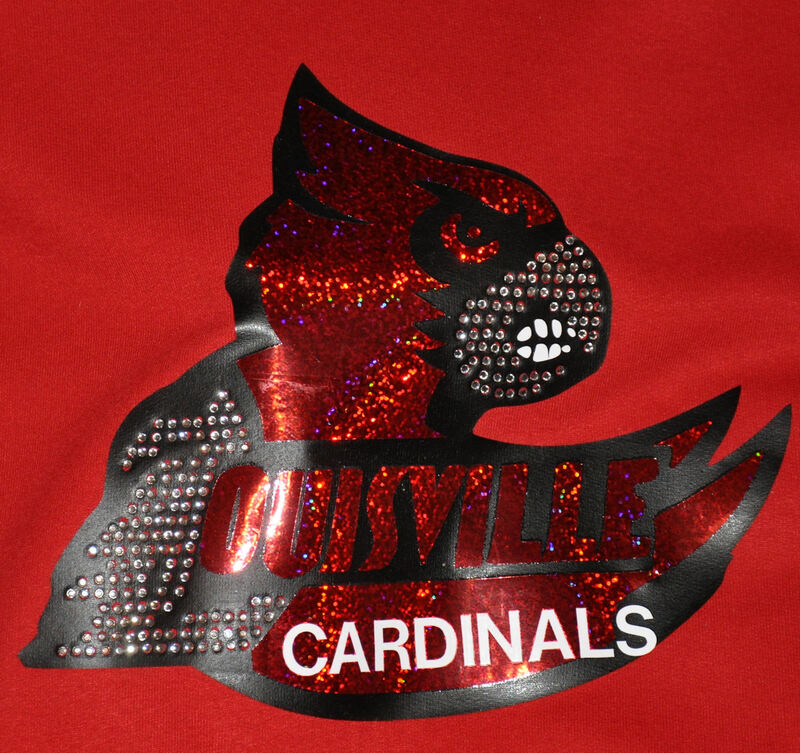 I will tell you however that according to the experts at winpcsign forum layered vinyl comes loose after many washings, You may want to join there and there are some wonderful experts on vinyl and rhinestones. @silhouette, i made 7 T shirts to celebrate a family trip to walt disney world and my daughter's,my son in law's and my mother in law's birthdays last fall. Their shirts said "Its my birthday" and everyone else's shirt said, "Its their birthday" i made a shadow on the design, so i had two colors. it was very challenging to get everything lined up perfectly times 7. i was really sweating over it when my daughter said,lovingly, mom, "you know we're all going to wear these just the one day, right?" she was right. i haven't worn my since. my only advice is be patient lining things up. if there's another way, i haven't found it yet. good luck! My idea was to either baste or sticker a piece of fabric to the shirt somewhere off of where the actual htv should go and put the registration marks on that area of the HTV cut. Then after everything gets lined up I can remove the piece of fabric from the shirt and the registration marks will be gone. 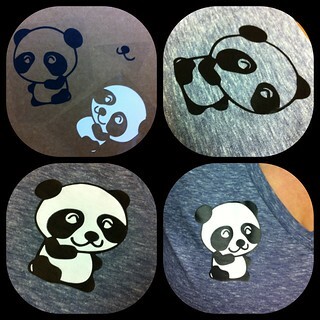 Don't forget that you get to relineup your heat transfer vinyl until it looks right because it's only slightly sticky. It's not like sign vinyl that sticks like glue if you screw it up a little bit. I did this panda with my eye and it turned out great. Don't forget that stuff from the store is never perfectly perfect either. You really can't tell it was done without registration marks. Oh one thing to remember is that the vinyl will shrink a bit when it's heated so you don't want to over warm it when layering. Just warm it till it sticks then do the next one. @Elaur, thats an interesting idea. basting a small scrap for registration marks might work well. 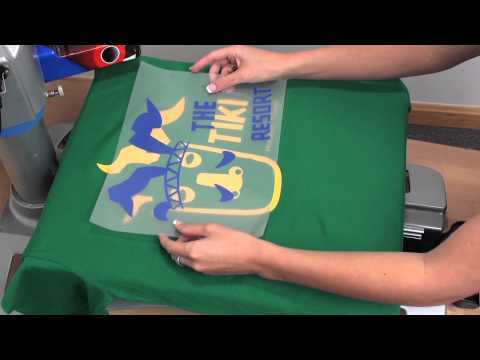 What about using a store bought tool, like the Tee Square-It, or the Perfect Transfers Tool? I have had designs that I need to layer, but I had also heard that they last longer if the HTV touches the fabric. So I copy and paste in place the top object to be layered, then 1 of those objects I " join" to the bottom layer. Remember when you are layering oly heat for 3 secs per layer, when you get to the top one then press for the amount you are suppose to. I am giving you a link to my website of me doing it this way. I am sure there Re more on there. I did this hoodie by eye balling it and it turned out fine. I have not done much ( any) HTV but I do sew a lot. If the first layer had a cross hair cut out in 2 places you could use tailors chalk to mark the registration on the garment. The other layers would have a circle with the cross hairs left inside to line up with the chalk lines....I feel like this would work well and the chalk just brushes off when finished. I guess for concentric circles if the htv was only on the spot that that specific color should be on it would still be easy to line up since there would be holes for the other colors.